Ahhh yes, the ultimate struggle for all readers. When we feel like we're slogging through a book, do we endure or lay it aside? Most of the time, I'm in favor of laying a book aside if it isn't flipping my switch. However, I break my own rule sometimes, and these are some of the books that survived. Don't forget to link up down below! THREE books from this year alone. Three! But as I said, I endured through the rough patches and feel pretty rewarded by all of these. 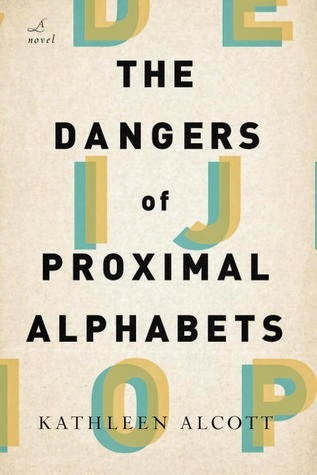 I loved the gorgeous language and intimate themes in The Dangers of Proximal Alphabets. 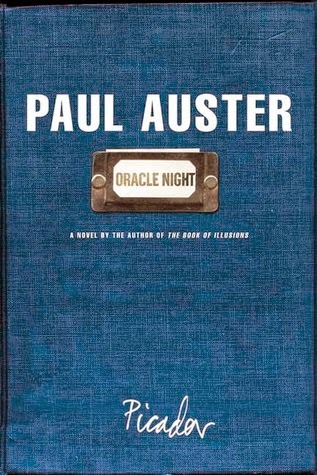 I enjoyed Paul Auster's meta storytelling and plot layers in Oracle Night. And once I got past a barrage of dry science facts, I totally dug the adventure in The Martian. Affinity, by Sarah Waters, is a book I worked on reading for two years. That's just stupid, right? I read snatches here and there, laid it aside, and I always came back to it because Waters' writing is impeccable, her characters are compelling, and her twists are glorious. Very glad I endured with this one. 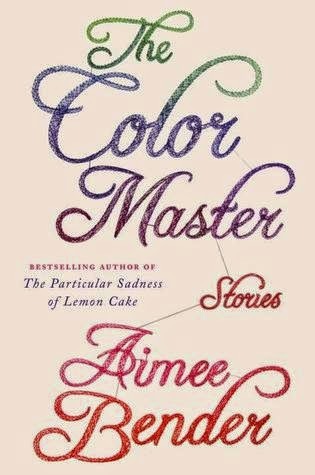 The Color Master: Short Stories, by Aimee Bender, was super weird. That said, the stories were also innovative and multi-layered. They challenged me while they maddened me. Definitely worth the ride. 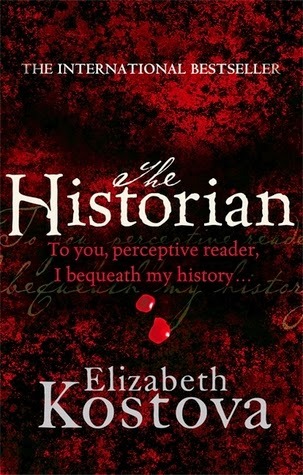 The Historian, by Elizabeth Kostova, was frustrating in its length and it plodded along at times. However, I was really glad to finish and discuss this one for last year's RIP event. This one felt like an accomplishment! That's my list...now how about yours? The Martian made my list too - and for the exact same reason! Two books I almost put down this year - and I'm glad I didn't! The Sparrow (loved it) and The Girl in the Road (strange but worth the read). I loved The Historian and plan to start The Martian soon. That's easy; The Enchanted by Rene Denfeld. Took me 4 tries to get into it. The audio finally did it for me and it was worth it. The Phantom of the Opera is another from this year, which honestly, I have no idea why I didn't throw it against the wall. Like, three times. What a horrible book! I'll have to remember that the beginning of The Martian is dry if and when I ever get to it. I'm really wanting tor ead The Martian. I've only heard the best of the best about it. I'm actually hoping for the audiobook, it seems to be good. I actually did put down The Marian after just a few pages. I didn't like the "This thing happened, and I'm going to tell you about it" narrative style. But I'm thinking I should give it another shot? The first one that always comes to mind for me is The Elegance of the Hedgehog. I was half way through that book and not enjoying it at all and then everything changed. Of course, because of that book, it now means that I push on through almost every book I pick up, even if I'm not enjoying them and they almost never pay off like that one did. I keep hesitating to pick up The Martian, think I'll give it a try. Never read anything by Auster, will research at library today. I just finished Waters' The Paying Guest; I put it down several times but slugged through. Not impressed at all. Affinity was actually the hardest Sarah Waters for me to get through -- which was weird because plot-wise I thought it would be my favorite. I guess you never know! 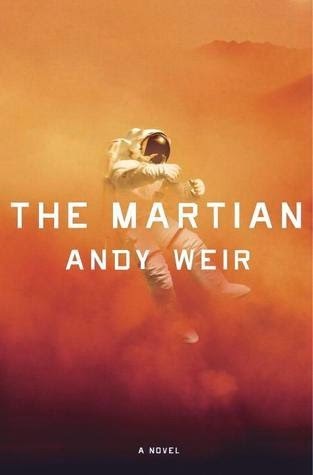 I did put down The Martian and haven't picked it back up yet. I'm going to try the audiobook. Mmm, The Historian, that WAS a slog. I read it in 2005 because I hadn't brought enough books on my London trip, and by the end of it, I wanted to smack someone. It was so loooooong. Ooh. I’ve been on the fence about Alphabet but might have to pick it up (I borrowed it from the library once and didn’t get around to reading it). I completely agree with The Historian - although I didn’t almost put it down because I loved it from the get-go.